I admit that I don't know how to present you this last opus of Solar Fields. Although I have Until We Meet the Sky well hooked at the top of my preferences, the phenomenon occurs each time that I discover a new part in the world of Magnus Birgersson. And that's the rub! I am constantly looking for those emotions which have literally overwhelmed me, invaded I should insist, during my learning of Solar Fields with Until We Meet the Sky. I looked for these anchors points in the next 3 albums, but never got there. And yet, the music was very good. In Magnus Birgersson's lexicon, “Ourdom” means a space where creative freedom reigns. The master of sounds in Mirror's Edge Catalyst was inspired by the landscapes and surroundings of Plettenberg Bay in South Africa in order to compose the music of “Ourdom”, becoming thus the first ever album of Solar Fields to be composed outside the studio in the hometown of Magnus Birgersson, Gothenburg, Sweden. I don't know about you, but the least I can say is that this brief exile from Solar Fields has had the desired effect on me. In addition to the spirals of furious rhythms, this album is full of that melancholic essence which distinguishes one album from another. In fact, I have rarely heard an album where the intensity and the emotions surfed with their differences on endless explosions of rhythms. The rising layer of "Burning View" acts like a sunrise on the sound horizons of “Ourdom”. Sparkles of prisms, muted mini-pulsations and percussive elements rub against sonic hoops which seem to hesitate to start a syncretic chant. Whispers and organic elements get add while a strange song is forged inside a mass of sound whose shielding doesn't affect in any way this magnetizing intensity of the tones, the rhythms and the ambiances which lodge through the 80 minutes of this latest opus of Solar Fields. The sonic awakening is gradual. The pulsations become more insistent while the sound flora intensifies its magnificence with these astonishing sequences which fall down like spirals in madness, whereas the pulsations get metamorphose into oblong organic beats. In order to counterbalance, a melody just as fragile as embryonic finds its way between multiple keyboard riffs. All this heavy staging will burst with such intensity and will trigger the first of the multiple addictions to this album which redefined the boundaries of psytrance. Because beyond the intensity of the sounds, of the musical membrane, of the multilayer of rhythms and of the multiple percussive elements, Magnus Birgersson has no equal to house a few chords here and there which tickle the strings of our sensitivity. Like those grave chords falling from the sky and those astral voices when "Shifting Nature" becomes the defector of "Burning View" and lodges into our ears. By cons, “Ourdom” has the defect of its great quality! Its mass of sounds is imbued with subtleties and harmonies as frail as these tadpoles wriggling for their lives in a pool of snakes. And when added to its rhythmic abundance, these two elements can be lost in the very distinctive din of an album where the softer moments get essential if you do not want to burst of emotivism, of intensity. "Into the Sun" is a striking example. Ethereal, even astral and lyrical, its introduction converges to a sound complex where the sequences swarm by the hundreds, the percussions hammer a lead rhythm, and the bass grinds all of it. In this musical mess, because everything is very musical here, there are these melodious arrangements which remind me of how sublime were the harmonic segments of Until We Meet the Sky. The percussions are shattering and the music is in mode ambient psytrance with these jerky filaments which run all over the body like a swarm of centipedes dancing in a discotheque bulging of arthropods on drugs in our back! The thing to remember is that we are only in the 17th minute and already the roots of my arm hairs raise the white flag. One thought to have reached the ecstasy that "Forgiveness" pushes the nail even further with an electronic anthem as intense as totally heavy. Very heavy! And again here, a little melody forged on dozens of spasmodic jerks comes to stir my senses. The last 3 minutes offer a soft lunar rhyme which lowers the pressure. A delicious moment which makes sprout a strong earworm. The sound of African flutes is more noticeable here. And it's in these moments that one hears a little better all the depth of the instrumentation and arrangements of “Ourdom”. This delightful lullaby crosses the borders of "Mountain King" which becomes a real hymn of trance like in the time of the infernal beats of Future Sound of London and Juno Reactor. Skillfully playing on the 14 minutes of this explosive title, Solar Fields multiplies its loops of rhythms with series of beats and circular sequences through a magma of sound effects which thwarts a possible drowsiness and/or rhythmic hypnosis to the raver. We always remain in the field of dramatic intensity with "Wave Cascade" which undeniably has all the attributes of its meaning. The intensity in the rhythm then becomes the business of "Moving Lines" which takes again the trance guides of the album. The play of the bass is stunning while the sound effects come out in bunch from the structure where the head must be screwed firmly to the shoulders. Another seraphic moment in "A Long Tailed Bird Whispered", whereas "Joshua's Shop" unveils a very good and heavy down-tempo with a melodious upward structure to give chills. Another monument of extreme hearing pleasure which gets drown in a sound mass that makes burst our eardrums. I believe that a good streaming Media player and a high bitrate resolution is needed here. I heard a clear difference between a FLAC file and the Wave version that Magnus Birgersson sent me. I am at a moment where I have no hairs on my arms! And the atmospheres of "A Green Walk" fall flat, since that "Parallel Universe" quietly unfolds its organic EDM structure, while "The Daylight Carrier" offers a segment of intensity, less dramatic but just as effective as in "Burning View". "Siren Song of Glass" concludes the last chapter of “Ourdom” with a structure of atmospheres which makes decanted a bit this horde of threads all mixed-up that connects our emotional center of gravity to reason. 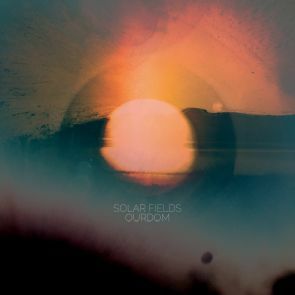 I breathe and I tell myself that I absolutely must speak to you about this Solar Fields album. Even if it's not Berlin School, it's still an excellent EM album that probably would not have been released without the Berlin School's influences on the EDM and of its derivatives. Available only for download, although I've seen Italian imports on Amazon, “Ourdom” is a huge gift to offer to oneself. This is the album which makes the perfect transition between the interstellar poetry of Until We Meet the Sky and the violence in rhythms of Mirror's Edge Catalyst. I had my share of shivers and of gorgeous earworms as well throughout a listening full of emotion and of disbelief, so much Magnus Birgersson has this unique way of transcending the world of psybient, of psytrance by giving to it an electroshock of melodies which nourish the roots of our emotions is as much unique than it's deeply melodious. “Ourdom” will eventually lands for sure on my list of timeless albums! J'avoue que je ne sais pas trop comment vous présenter ce dernier opus de Solar Fields. J'ai beau avoir Until We Meet the Sky bien accroché au fond de mes préférences, mais le phénomène se produit à chaque fois que je découvre un nouveau pan dans l'univers de Magnus Birgersson. Et c'est là que le bât blesse! Je cherche constamment ces émotions qui m'ont littéralement submergées, envahies j'insisterais, lors de mon apprentissage de Solar Fields avec Until We Meet the Sky. J'ai cherché ces points d'ancrage dans les 3 albums subséquents, sans jamais y être parvenu. Et pourtant, la musique était très bonne. Dans le lexique de Magnus Birgersson, “Ourdom” signifie un espace où la liberté de création règne. Le maître des sons dans Mirror's Edge Catalyst fut inspiré par les paysages et les ambiances de Plettenberg Bay, en Afrique du Sud, afin de composer “Ourdom”, devenant ainsi le tout premier album de Solar Fields à être composer en dehors du studio dans la ville natale de Magnus Birgersson, Göteborg en Suède. Je ne sais pas pour vous, mais le moins que je puisse dire est que ce bref exil de Solar Fields a eu sur moi l'effet espéré. En plus de ses spirales de rythmes endiablés, “Ourdom” est plein de cette essence mélancolique qui distingue un album par rapport à un autre. En fait, j’ai rarement entendu un album où l'intensité et l'émotivité surfaient avec leurs différences sur des explosions de rythmes à n'en plus finir. La nappe montante de "Burning View" agie comme un levé de soleil sur les horizons sonores de “Ourdom”. Des éclats de prisme, des mini pulsations sourdes et des éléments percussifs se frottent à des cerceaux soniques qui semblent hésiter à entamer un chant syncrétique. Des murmures et des éléments organiques s'ajoutent tandis qu'un étrange chant se forge à l'intérieur d'une masse sonore dont le blindage n'affecte en rien cette magnétisante accentuation des tons, rythmes et ambiances qui loge au travers les 80 minutes de ce dernier opus de Solar Fields. L'éveil sonique est graduel. Les pulsations deviennent plus insistantes alors que la flore sonore intensifie ses magnificences avec ces étonnantes séquences qui descendent comme des spirales en folie, tandis que les pulsations se métamorphosent en oblongs battements organiques. Afin de faire contrepoids, une mélodie toute aussi fragile qu'embryonnaire se fraye une place entre les multiples riffs de clavier. Toute cette lourde mise en scène éclatera avec une telle intensité et déclenchera le premier des multiples envoutements addictifs de cet album qui redéfini les frontières du psytrance. Parce qu'au-delà de l'intensité des sons, de la membrane musicale, des multicouches de rythmes et des multiples éléments percussifs, Magnus Birgersson n'a pas son pareil pour nous loger quelques accords ici et là qui font frémir les cordes de notre sensibilité. Comme ces accords graves qui tombent du ciel et ces voix astrales lorsque "Shifting Nature" devient le transfuge de "Burning View" et se loge dans nos oreilles. Par contre, “Ourdom” a le défaut de sa très grande qualité! Sa masse de sons est imbibée de subtilités et d'harmonies aussi frêles que ces têtards frétillant pour leurs vies dans une mare de serpents. Et lorsqu'additionnées à son abondance rythmique, ces deux éléments peuvent se perdre dans le tintamarre très distinctif d'un album où les moments doux sont essentiels si on ne vous pas éclater d'émotivité, d'intensité. "Into the Sun" est un exemple frappant. Éthérée, voire astrale et lyrique, son introduction converge vers un complexe sonore où les séquences grouillent par centaines, les percussions martèlent un rythme de plomb, tandis que la basse moud le tout. Dans ce désordre musicale, car tout reste très musical ici, il y a ces arrangements mélodieux qui me rappellent combien étaient sublimes les segments harmoniques de Until We Meet the Sky. Les percussions sont fracassantes et la musique est en mode psytrance ambiant avec ces filaments saccadés qui nous parcourt le corps comme une nuée de mille-pattes dansant dans une discothèque bombée d'arthropodes sur l'acide dans notre dos! Ce qu'il faut retenir est que nous sommes seulement à la 17ième minute et déjà les racines de mes poils de bras lèvent le drapeau blanc. On pensait avoir atteint l'extase que "Forgiveness" enfonce le clou plus loin avec un hymne électronique aussi intense que totalement lourd. Très lourd! Et encore ici, une petite mélodie forgée sur des dizaines de saccades spasmodiques vient remuer mes sens. Les 3 dernières minutes proposent une douce comptine lunaire qui fait descendre la pression. Un délicieux moment qui fait germer un solide ver-d'oreille. Le son des flûtes Africaines est plus perceptible ici. Et c'est dans ces moments que l'on entend un peu mieux toute la profondeur de l'instrumentation et des arrangements de “Ourdom”. Cette délicieuse berceuse traverse les frontières de "Mountain King" qui devient un vrai hymne de trance comme dans le temps des rythmes infernaux de Future Sound of London et Juno Reactor. Jouant habilement sur les 14 minutes de ce titre explosif, Solar Fields multiplie ses boucles de rythmes avec des séries de battements et de séquences circulaires à travers un magma d'effets sonores qui contrecarrent une possible somnolence et/ou hypnose rythmique chez le raveur. On reste toujours dans le domaine de l'intensité dramatique avec "Wave Cascade" qui possède indéniablement tous les attributs de son sens. L'intensité dans les rythme devient alors l'affaire de "Moving Lines" qui reprend les guides trance de l'album. Le jeu de la basse est étourdissant alors que les effets sonores sortent en masse de cette structure où il faut que la tête soit bien vissée aux épaules. Autre petit moment séraphique en "A Long Tailed Bird Whispered", alors que "Joshua's Shop" déballe un très bon et lourd down-tempo avec une structure mélodieuse ascendante à donner des frissons. Un autre monument de plaisir auditif extrême qui se noie dans une masse sonore à vous faire éclater les tympans. Je crois qu'un bon lecteur réseau et une haute résolution dans le bitrate est nécessaire ici. J'ai entendu une nette différence entre un fichier FLAC et la version Wave que Magnus Birgersson m'a fait parvenir. Je suis rendu à un moment où je n'ai plus de poils sur les bras! Et les ambiances de "A Green Walk" tombent à pile, puisque "Parallel Universe" déplie tranquillement sa structure EDM organique, alors que "The Daylight Carrier" propose un segment d'intensité, moins dramatique mais tout autant efficace, que dans "Burning View". "Siren Song of Glass" conclut le dernier chapitre de “Ourdom” avec une structure d'ambiances qui fait décanter un peu cette horde de fils tout en broussaille qui connecte notre centre de gravité émotionnel à la raison. Je respire et je me dis qu'il faut absolument que je vous parle de cet album de Solar Fields. Même si ce n'est pas du Berlin School ça n'en demeure pas moins un excellent opus de MÉ qui n'aurait sans doute pas vu le jour sans les influences de la Berlin School sur l'EDM et de ses dérivées. Disponible uniquement en téléchargement, quoique j'ai vu des importations Italiennes sur Amazon, “Ourdom” est un immense cadeau que vous devez vous faire. C'est l'album qui fait la transition entre la poésie interstellaire de Until We Meet the Sky et la violence en rythmes de Mirror's Edge Catalyst. J'ai eu ma part de frissons et de beaux ver-d'oreille tout au long d'une écoute chargée d'émotions et d'incrédulité, tant la façon qu'a Magnus Birgersson de transcender l'univers du psybient, du psytrance en lui donnant un électrochoc de mélodies qui nourrissent la racine de nos émotions est aussi unique que très mélodieuse. “Ourdom” se dirige assurément sur ma liste d'albums intemporels!